A classic motorsport meet - one of the growing number of events for older cars - at the world's oldest motorsport venue, older even than Brooklands? It sounds like the perfect match! The period dress idea has been trialled with great success at the Goodwood Revival. In short, this event has all the marks of a great event. 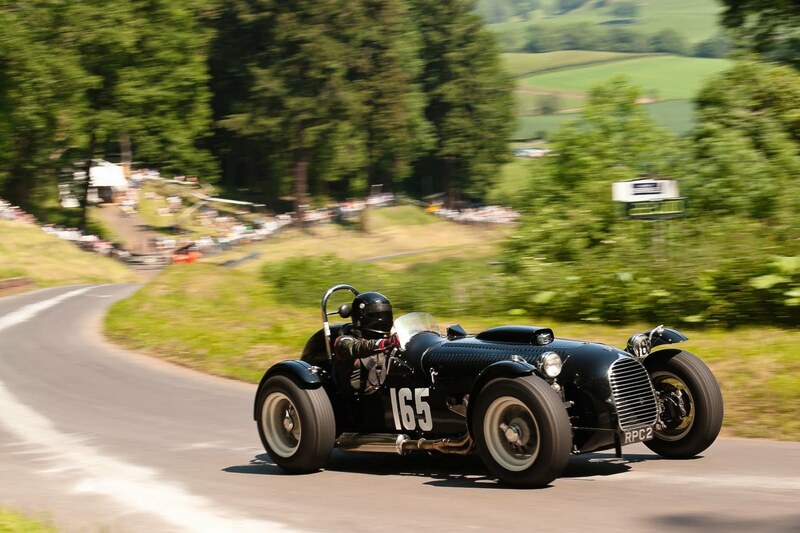 What better place to re-create the atmosphere of those magic motor sport moments of yesteryear than Shelsley Walsh Hill Climb? 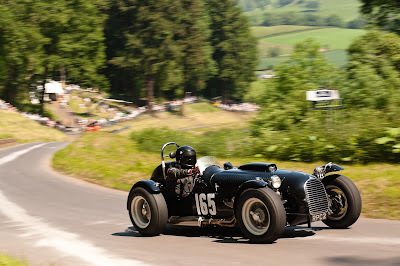 Shelsley Walsh nestles in the magical Teme valley in Worcestershire and speed hill climbing has taken place there since 1905. It is English countryside at its most beautiful and a surprising place to see racing cars at flat out speeds. As well as admiring the sight of competing classic cars ,enjoy the friendly and relaxed atmosphere, view the cars at close quarters in the paddock and meet the drivers, listen to “George Huxley’s Jazzmen – The Hot 5”, visit our working water mill and see the progress with the building restoration projects including the new Stratstone Restaurant. A great opportunity for a summer picnic amidst a fantastic gathering of classic cars and other vintage vehicles. In our main car park we will be holding a free Concours D’Elegance for all comers, sponsored by Classic & Sports Car magazine. Our only rule is that cars have to be driven through the entrance, not arriving on trailers; it’s a genuine street Concours which will be judged by famous motorsport journalist, Simon Taylor. The winner will be invited to show their car on the Club’s stand at the 2011 NEC Classic Car Show in November. To enhance the period atmosphere, everyone is being encouraged to dress in period clothes and there will be a prize for the best dressed spectator. This is the first event in a series of annual meetings dedicated to the rapidly growing classic car interest within the MAC. Also of interest to enthusiasts will be the repeat running of the “MAC Classic” on April 22nd 2012, a multi –start tour for classics, open to all, which finishes with an untimed run on the famous Hill itself. A remarkable and memorable day of classic motoring.